How Do I Clean The Debris Filter? 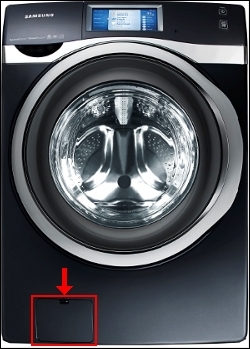 All current Samsung Front Load Washers have debris filter access panels located on the front of the unit. The filter is housed inside of the drain pump to prevent the drain hose from being clogged. If not cleaned regularly, unpleasant odor, draining, and filling issues will arise. NOTE: If the washer was manufactured and/or purchased before 2009, it does not have a debris filter access panel. NOTE: 5E error code will register when the debris filter needs to be cleaned. TIP: The debris filter should be cleaned periodically, based on how frequently the washer is used. You cannot over clean the debris filter. It is better to clean it more often than not. 2. 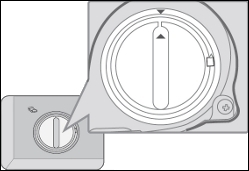 Open the debris filter access cover inserting a coin or a key into the slot above the access panel and gently prying it open. 3. Locate the black rubber drain hose (aka emergency drain hose) and if attached, release it from its holder. NOTE: Place a towel on the floor to prevent water damage to the floor. 4. 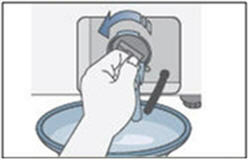 Remove the white drain plug from the emergency drain hose, and then drain the water in a suitable container. 5. 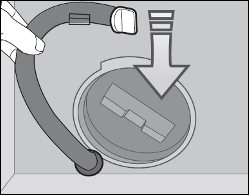 After water stops draining from the auxiliary drain hose, remove the debris filter by turning it counter clockwise and pulling it out. 6. 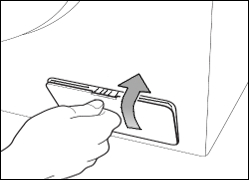 Inspect and clean the filter, and then reinstall by pushing it in and turning it clockwise until secured. 7. 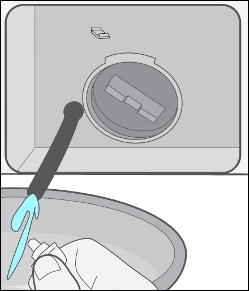 Reinstall the emergency drain hose cap and secure the hose in its holder. 8. 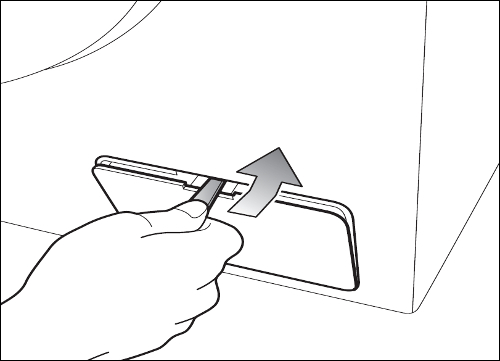 Reinstall the access panel by placing it into the holes at the bottom of the access panel opening and pushing/pivoting it into the top of the opening. NOTE: Watch the video below to learn more how to clean the debris filter.